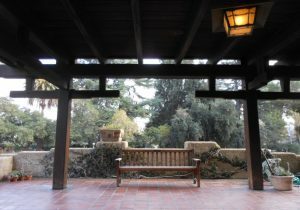 Attend “Asian-Inspired Influences on the Design of The Gamble House” and take a docent-guided tour of this National Historic Landmark. Curious to experience the lure of the Orient, David and Mary Gamble and family spent 16 weeks on tour in 1908. See how Charles and Henry Greene memorialized their travels throughout the house. 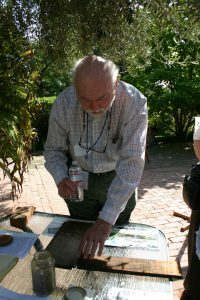 John Ripley, a major contributor to “The Life and Legacy of D.M. Renton” will give an illustrated lecture based on this newly published book. 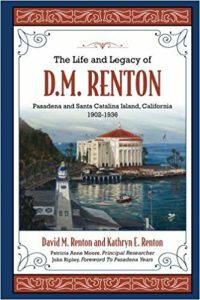 Hear the fascinating and unique story about David M. Renton, “DM”, who was a well-known builder of Craftsman homes and other structures in Pasadena, and who later was General Manager of Santa Catalina Island. Many different woods may be found in Craftsman homes including Douglas fir, oak, redwood, cedar, maple and other species that were used in structural framing, beams, rafters, shingles and shakes, windows and doors, and various interior elements. 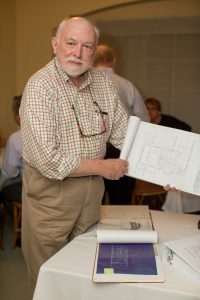 Longtime Historic Architect William W. Ellinger III will explain the differences and uses of these woods in historic homes, and how to preserve and maintain their historic integrity. This session is a demonstration of Ikebana — the ancient Japanese art of flower arranging. Ikebana is not just about flowers, it is about the person who arranges them. Ikebana is a spiritual process that helps one develop a closeness with nature and merge the indoors and outdoors. It is about the love and need of the artist to create beautiful forms. Seasoned designers realize the importance “space”, which is not meant to be filled, but created and preserved through the arrangements. This ties into other principles of Ikebana including minimalism, shape and line, form, humanity, aesthetics, and balance. 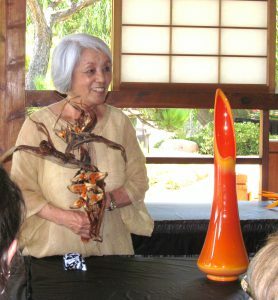 Kyoko Kassarjian, the Founder of the Sogetsu San Fernando Valley Branch, is an internationally recognized and award-winning Ikebana artist who began studying Ikebana 60 years ago. She has been granted the highest degree, Riji, by the Sogetsu School in Tokyo. Mrs. Kassarjian has been teaching Ikebana for over 25 years and is a member of both the Sogetsu Teachers Association in Japan and the Southern California Ikebana Teachers Guild in Los Angeles. She currently teaches public classes for beginners through advanced students at UCLA Extension in Westwood and Pierce Community College Extension in Woodland Hills. Learn how the Historic Building Energy Efficiency Program could help you. As an owner of an historic home served by SoCalGas and a municipal electric utility, you are eligible to participate in an exciting initiative.